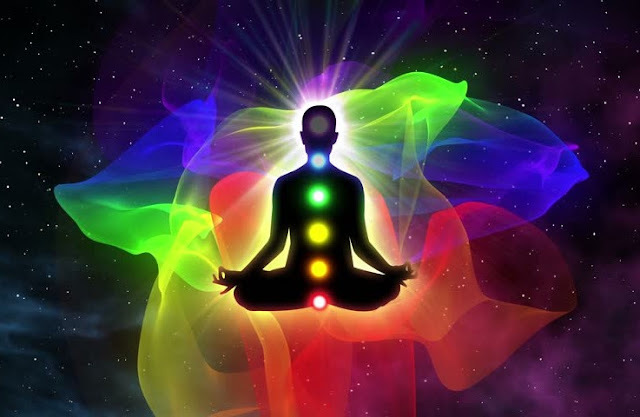 If we are spirits having a human experience, then it is this frequency of spirit which vibrates and creates an energetic field around the human body. Sit in a quiet, distraction-free zone in your house. Stay seated comfortably in a position you can relax in for about 15 minutes while practicing breathing exercises. Remain conscious of what you’re doing, and aware of your inhales and exhales. You can even meditate. Once you find yourself beginning to totally relax, form a white light in your mind and have it surround you. Allow it to flow throughout you, from the tips of your toes to the top of your head, and visualize it moving up and down your back, near your spine. If you get distracted or thrown off, you can get yourself back on track by re-visualizing the white light and focusing on your breath. Avoid negative people or energy vampires. People affect more than just themselves, so be aware of how others affect your energy and vice versa. One way to protect yourself is to make sure you surround yourself with more positive people than negative ones. Spend less time time (or none at all) with negative people, once you figure who they are. Find positive people who always have a smile to offer and have kind souls. These people can help offset negativity in your aura.t time to detoxify and regenerate, both body and spirit. Try these steps to cleanse your aura and liberate its highest potential and feel the cascading effects seasons after season. Still have negative energy wafting around? Try looking inward. Start paying attention to your thoughts. Are there a lot of negative ones? Take a look at them. Are they untrue, delusional, or paranoid? All the more reason to chuck them out. Focus on the bright side of things. If you are having a really bad day, it’s okay to express your feelings, but don’t wallow in that place. Make your day a good one by treating yourself to your favorite tea. Play your favorite song. Find a friend to hang out with. If you notice that a negative thought is trying to creep in, confront it with a positive one. If you keep practicing this, you will be able to conquer the effects of negative thinking. This is the most commonly practiced ways of protecting the aura. Practitioners praise it as a beautiful way to connect them to the divine energy, and when it’s done in the mornings, it’s a defining start to the day. Imagine white light coming down from the sky, divine, cosmos, universe, whatever higher power resonates with you. Connect this light to the crown of your head, and then let it spill out over you and down under your feet. You are now surrounded by a white light bubble. White is pure and highly protective. You are in control of what enters and exits your white bubble of protection. Sometimes you just need a realignment: energy healings can help clean blockages blockages or balance misalignments. Healers also check for negative entities or emotional cords that may need to be cut. Don’t underestimate the power of these energy checkups. You might find that your mood swings and imbalanced emotions improve drastically with a little help. Smudging is a Native American practice using white sage to cleanse any negative energy. You can cleanse your house, people and things. Try smudging after you’ve had a lot of people in your home or if you feel particularly drained. Focus your intention on clearing negative energy to allow room for positive energy in your space and life.